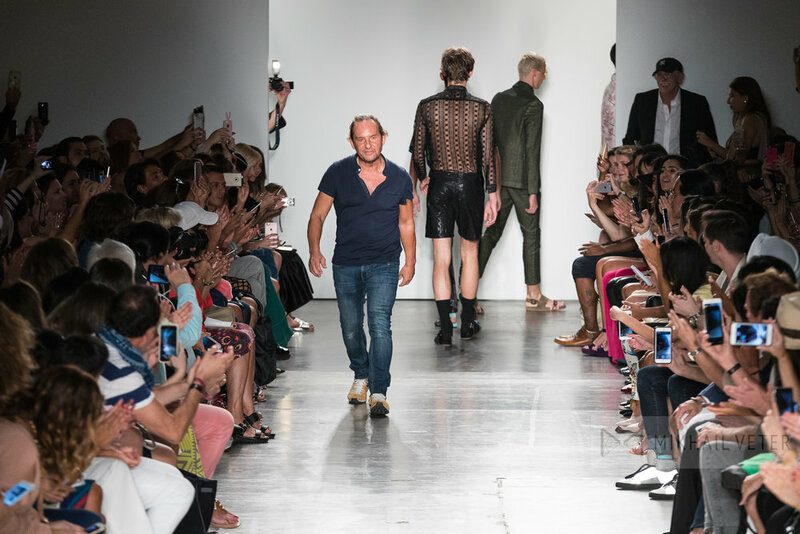 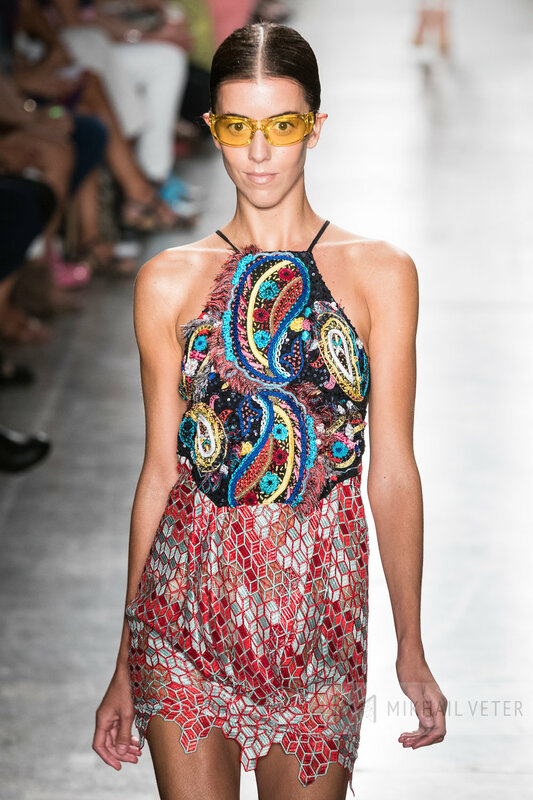 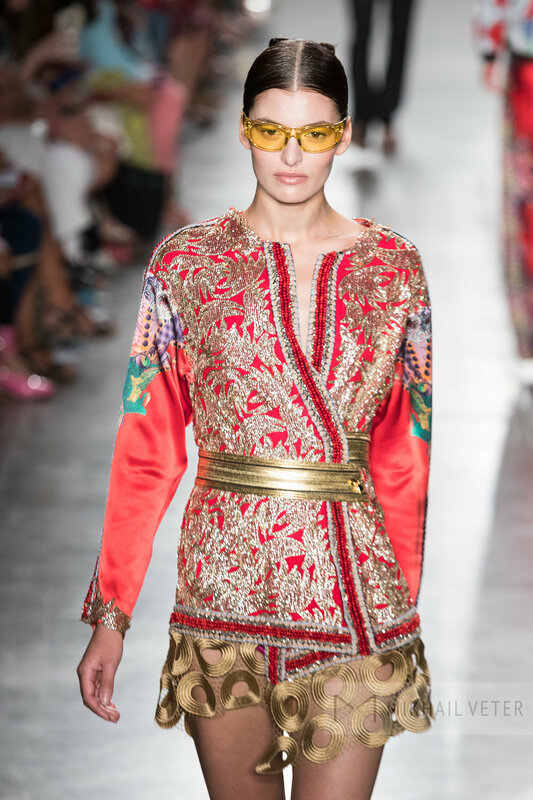 When Custo Barcelona showed his Spring/Summer 2017 collection at New York Fashion Week, it almost felt like viewing an art gallery rather than just watching models strut clothing down the runway. 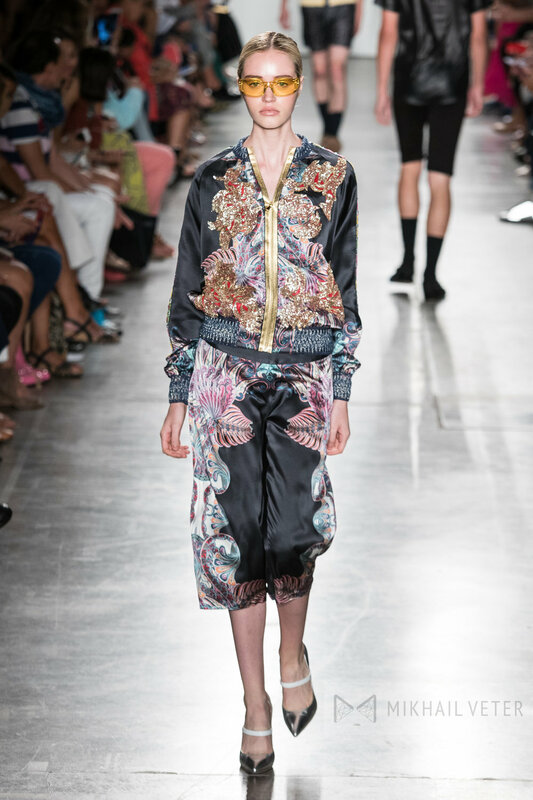 Of course, fashion is art but this collection took that sentiment to a new level. 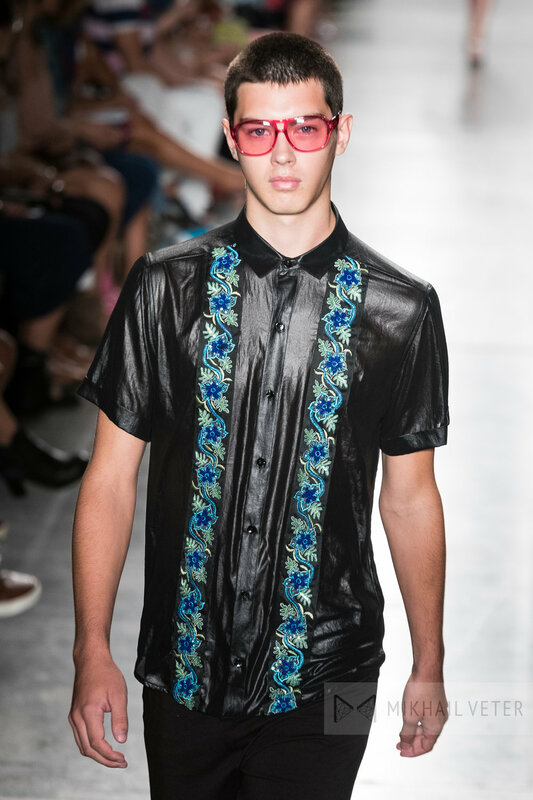 Barcelona filled the collection with unexpected design combinations and styles that felt very fresh, very different and very, very artistic. 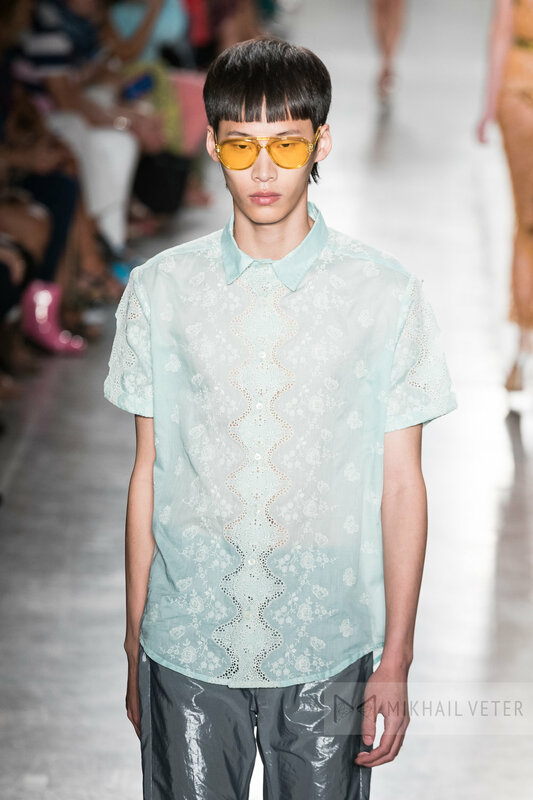 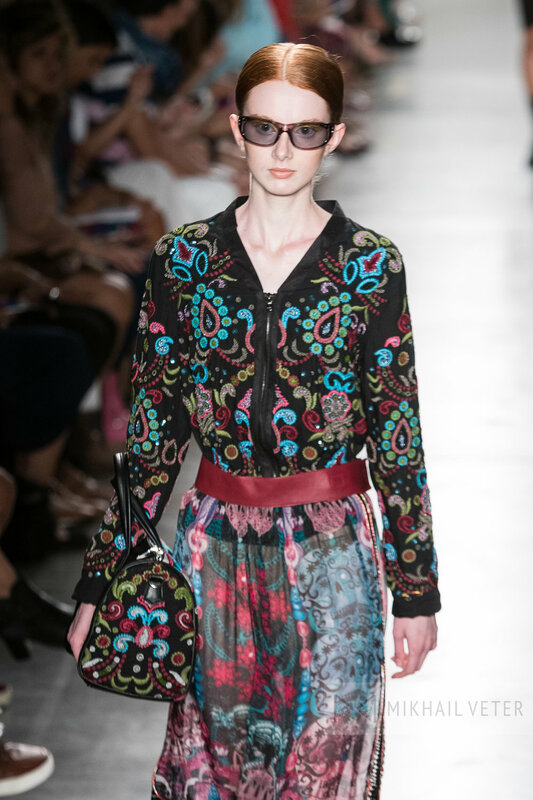 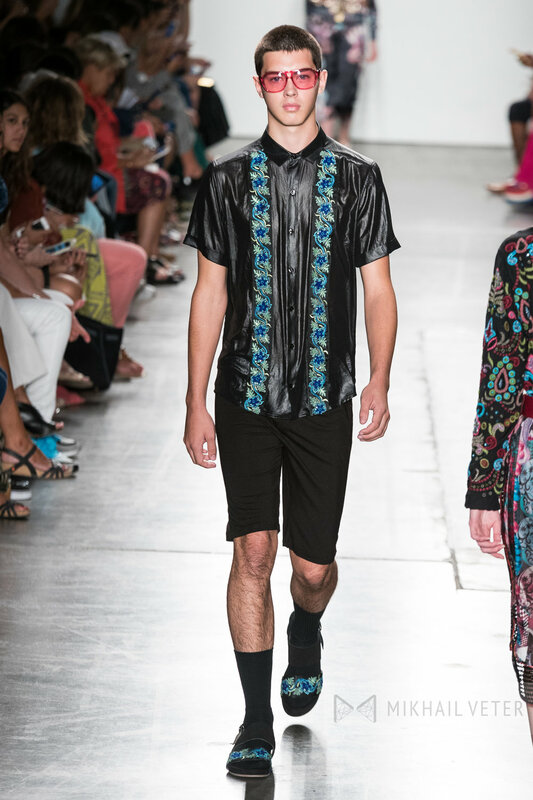 He utilized loud prints, ornate detailing and unique textures. 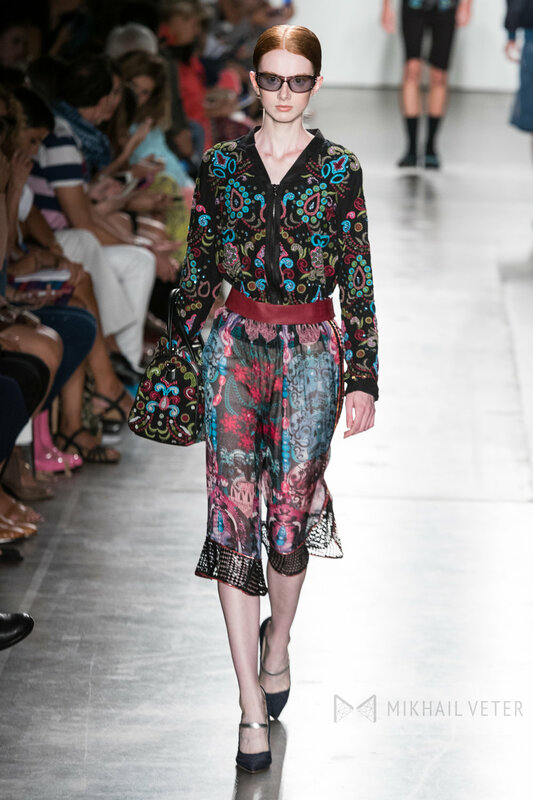 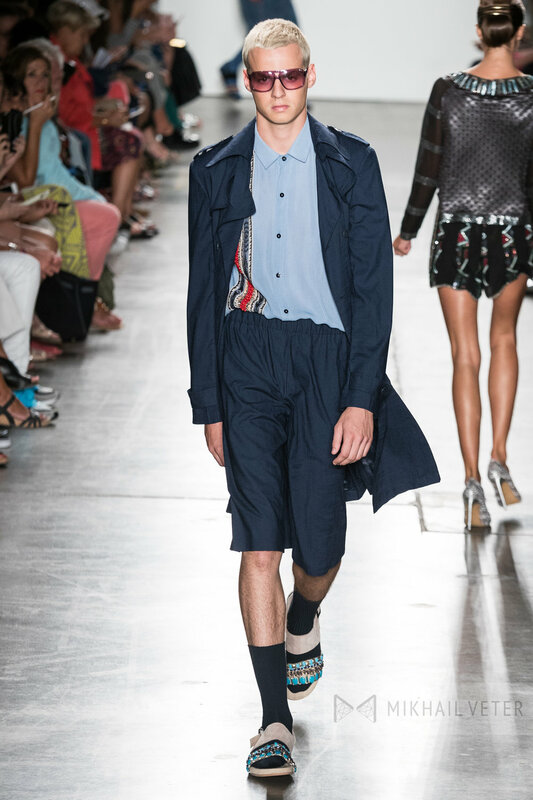 Barcelona used a wide variety of different prints and patterns in the collection from globally and oriental-inspired prints to more traditional prints such as stripes. 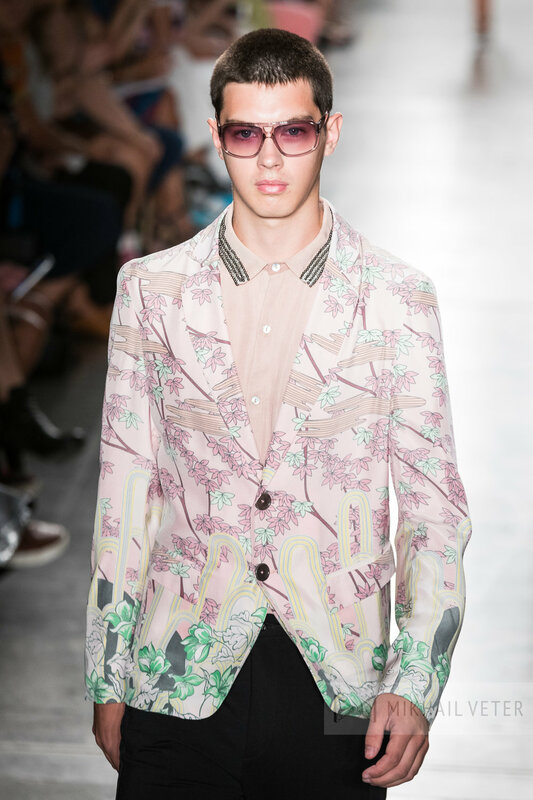 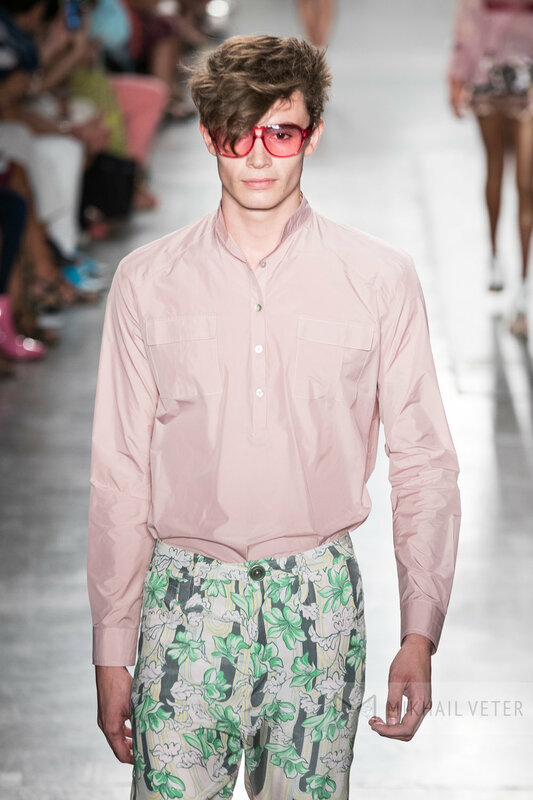 He boldly paired clashing prints together for "look at me" outfits that definitely caught the audience's eye. 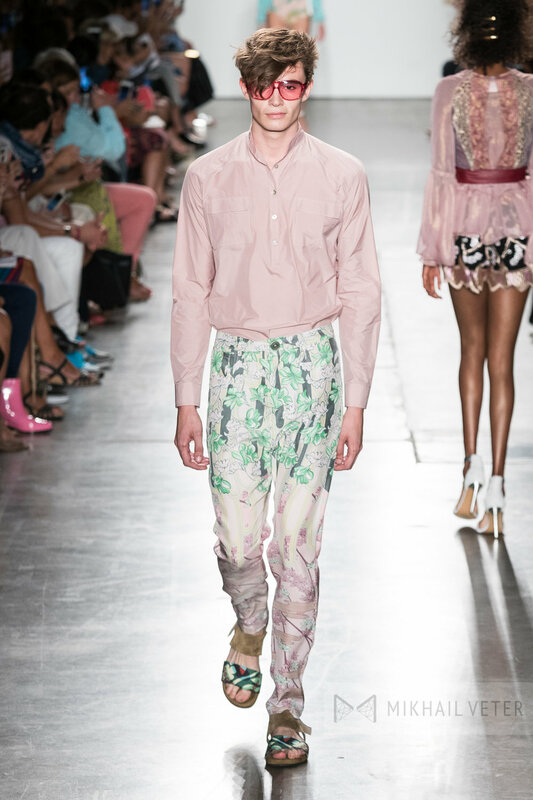 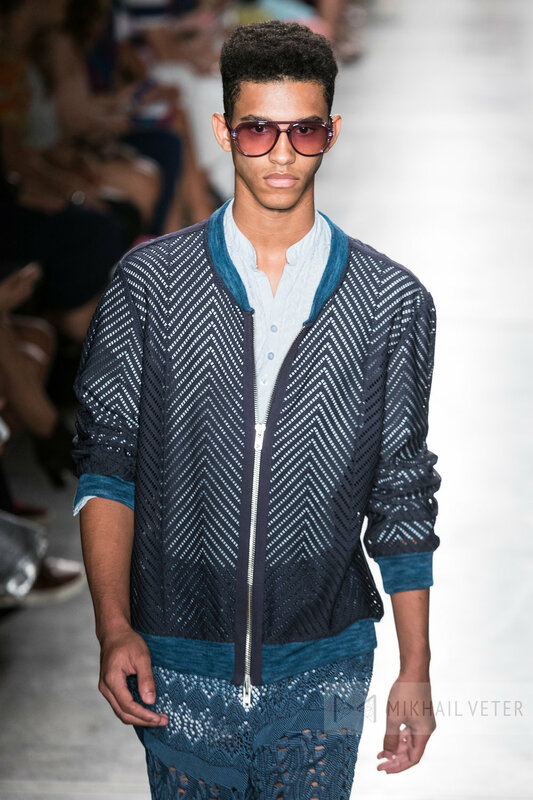 He also played around with textured prints, using pattern in his textures for a totally new aesthetic. 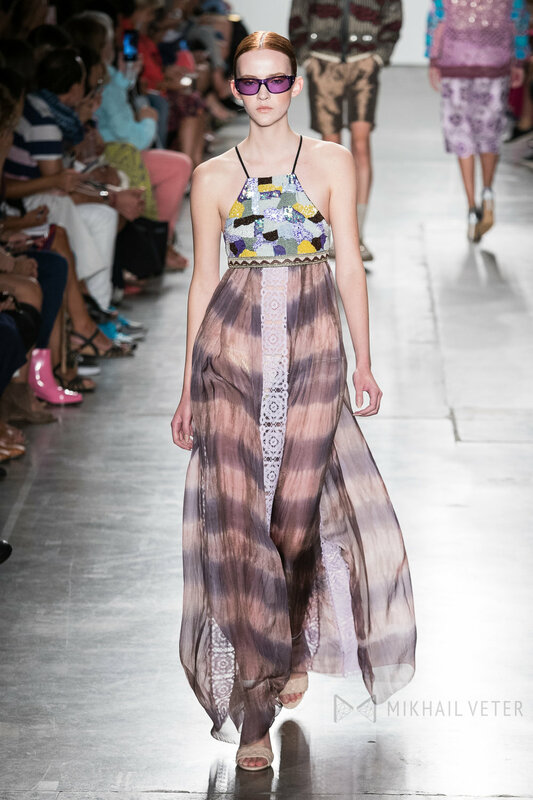 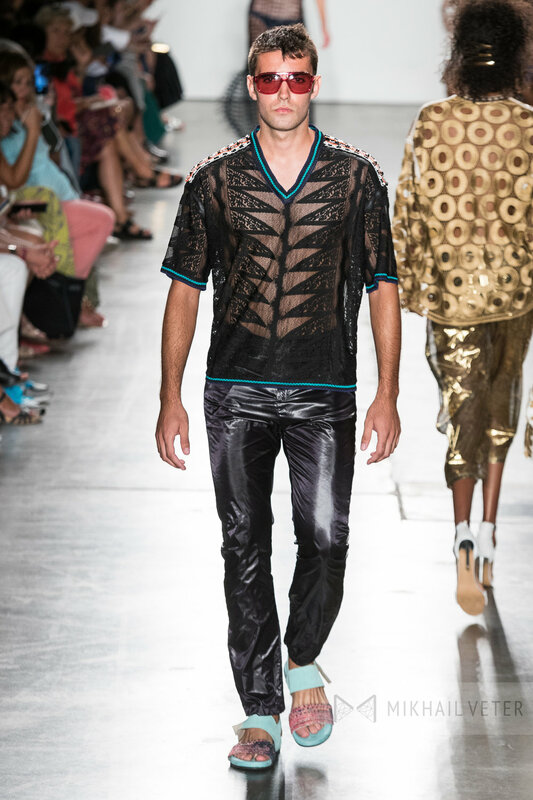 He also used a variety of semi-sheer, silky and metallic fabrics in the collection. 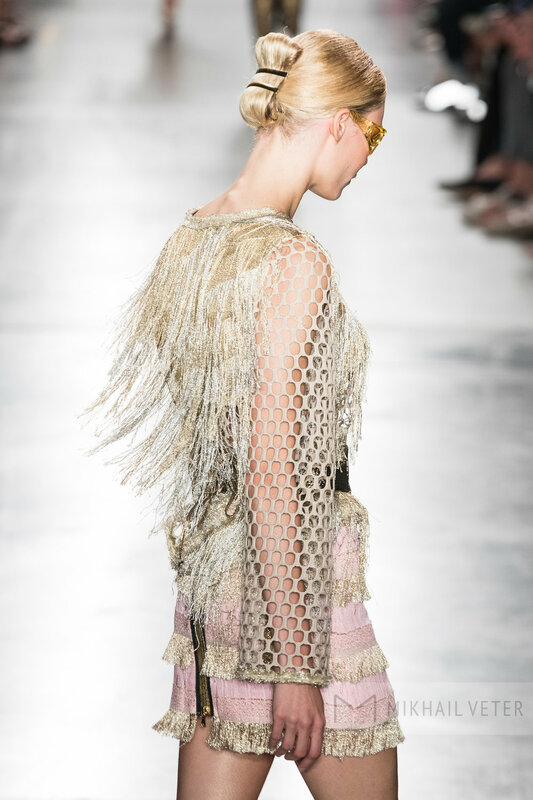 In fact, the collection was actually filled with glamorous golden hues and glitzy metallic detailing. 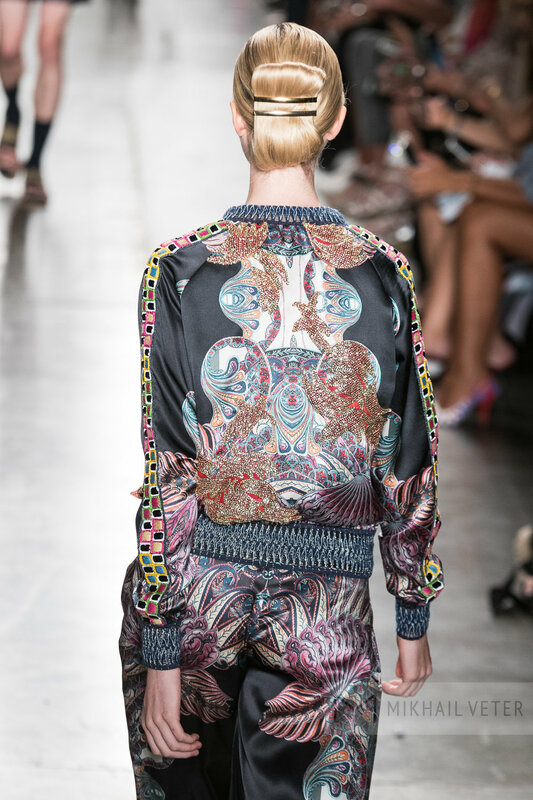 The glitz and glamour of the fabrics and detailing contributed to a very luxurious, ornate feel. 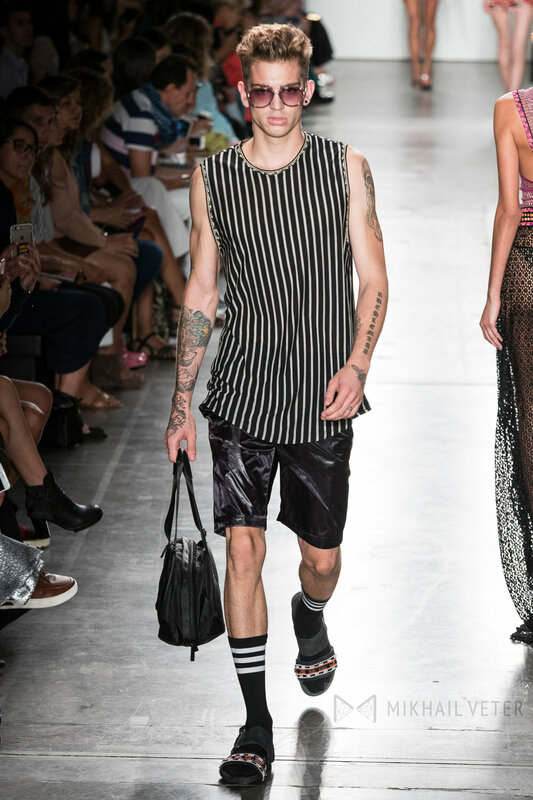 What really stands out about his use of metallics is how refreshing and light they felt as opposed to how heavy and dark they can often be. 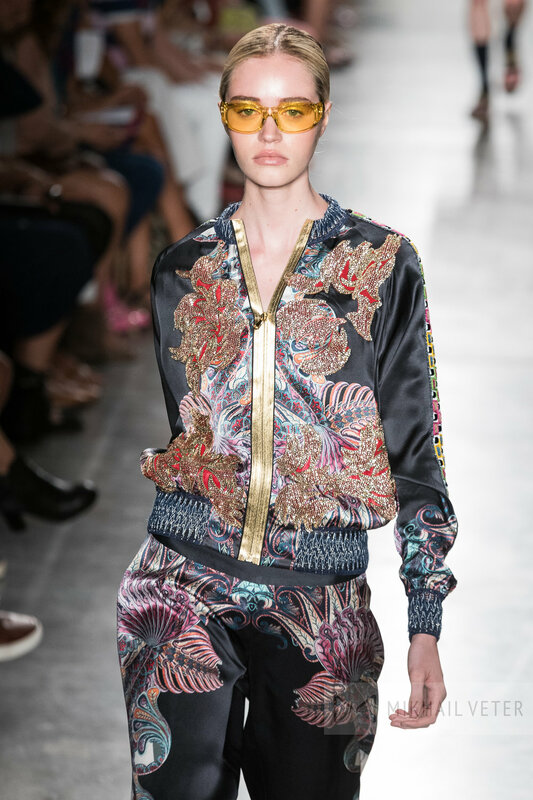 Other detailing such as intricate beading and interesting silhouettes only contributed to the luxe, artistic mood of the collection. 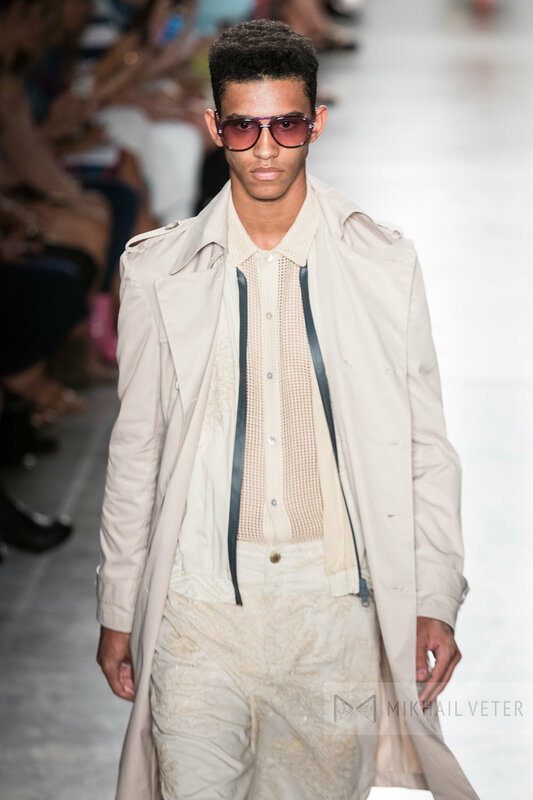 Since the collection was so varied from color, style, texture, print, gender, etc., Barcelona styled models in a similar fashion to maintain consistency throughout the collection; all models sported minimalistic hair and makeup as well as warm-colored statement shades. 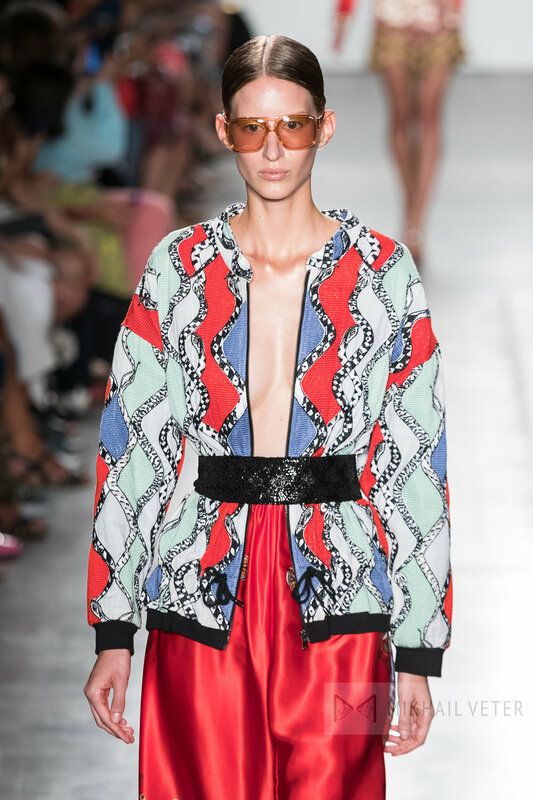 Overall, the collection felt very bold, exciting and new - which is what every fashion designer should aim for when designing a collection. 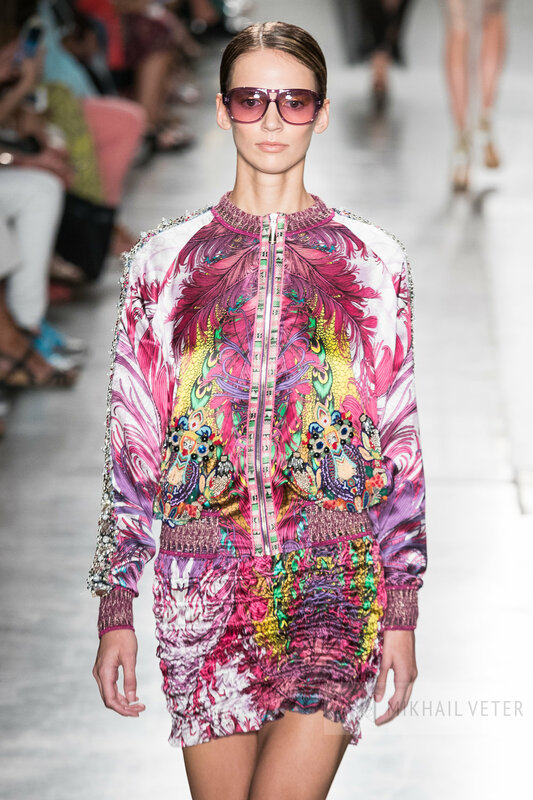 I'd say Custo Barcelona nailed it. 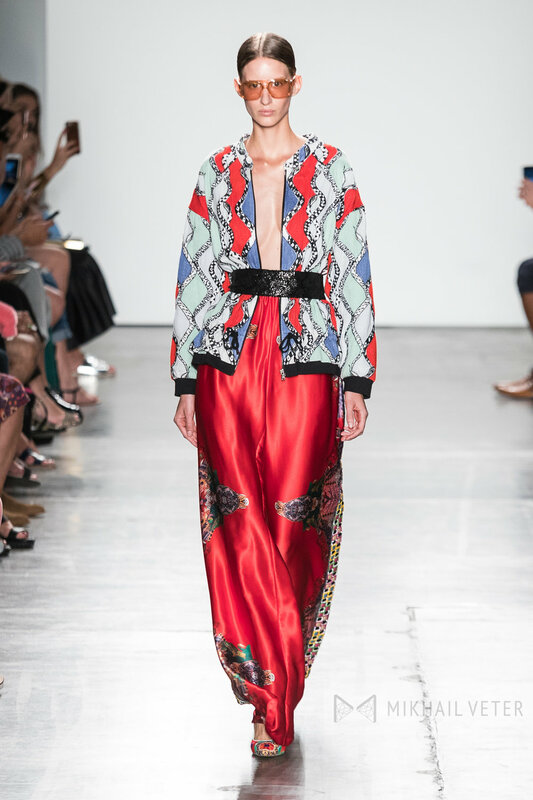 Fashion review by Tori Radday of Fashion, Trends & More. 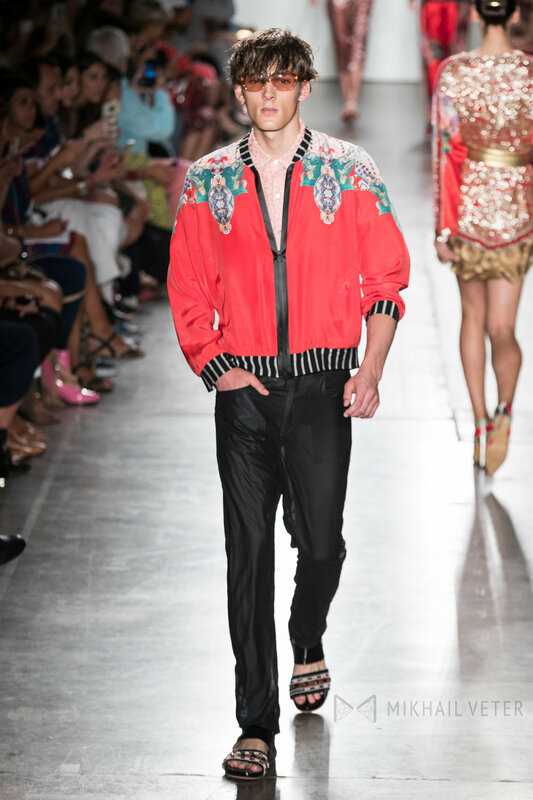 To learn more about Custo Barcelona go to custo.com and @custobarcelona.